Nerd Love Story: Martin Luther King, Jr. Okay, a day late. But really, never too late to share words from this wonderful man. It's historical figures like him that make my major so incredible to study. 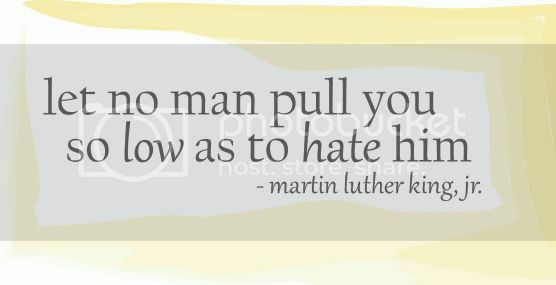 Martin Luther King, Jr. truly was a Christlike person and example. I hope that we never let our differences or misunderstandings ever convince us to hate any one person or people. It's too destructive and too much of a waste of energy. Hate changes nothing, it's a useless emotion.